Blessings, Miracles, &Thoughts in Between: Dimples! Growing up I always wanted dimples. I may or may not have spent many hours of my childhood cramming crayons into my cheeks in hopes of "making" dimples. One of the first things I noticed about Alex when we met ages ago was his dimple! It's pretty subtle but it's there and I adore it! 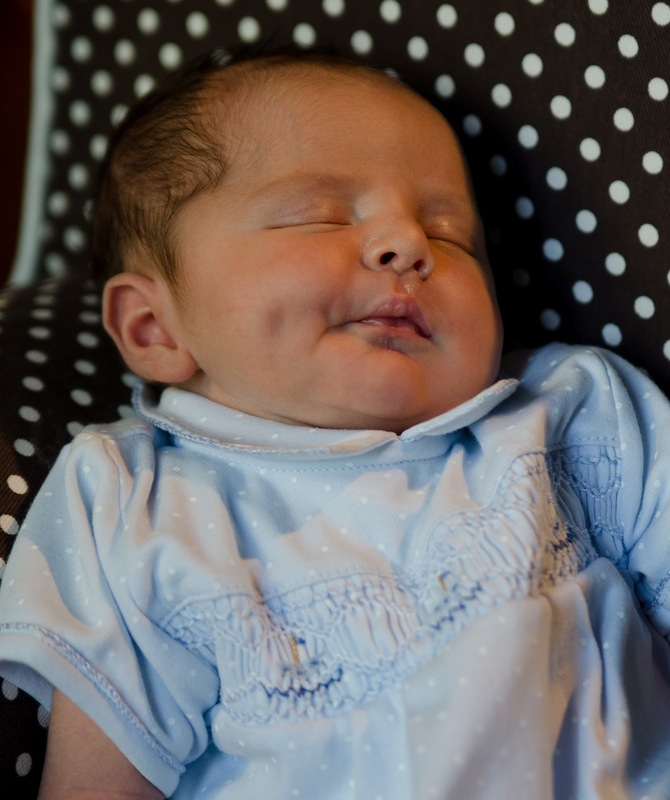 I was overjoyed when Kate was born with a beautiful dimple! It keeps getting deeper and deeper as she gets older! Well, we hit the dimple jackpot with Will! He has dimples in both cheeks! I haven't been able to catch both dimples at once but, here is proof that he has at least one. 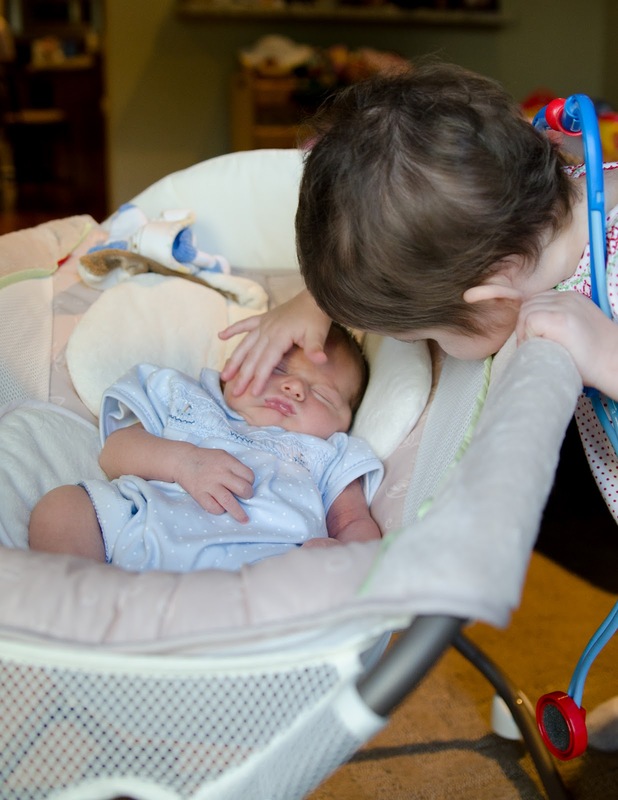 And this is just too sweet to not share - Kate loving on her baby brother! Oh he is just so precious! Hi there! I'm a new reader and just wanted to comment real quick- I never knew anyone else that wanted dimples and tried to make themselves have them as a child, I look ridiculous in my 2nd grade picture cause I tried to smile and make myself have dimples! Ha so when my baby boy smiled for the first and I saw not 1 but 2 dimples, I was ecstatic!! :) your children are adorable! Too cute! I always wanted dimples too! Ha! Dimples on both cheeks makes me think you've got a heartbreaker on your hands. Love This photo of him and Kate. So sweet mama, hope y'all are having a food week! I was the EXACT same way about dimples!! I would push in my cheeks so hard when I was little! I married a man with deep dimples, so I'm glad that my girls have them too. Alli just has one though, but I guess that will do haha. He is just precious! I love all the pictures of Kate being the best big sister to him.